CELTIC RING BLOODSTONE CELTIC DRAGON SHOULDERS. 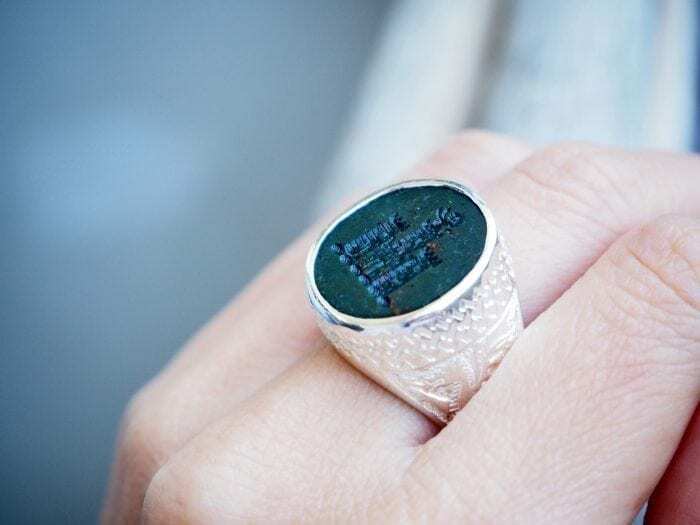 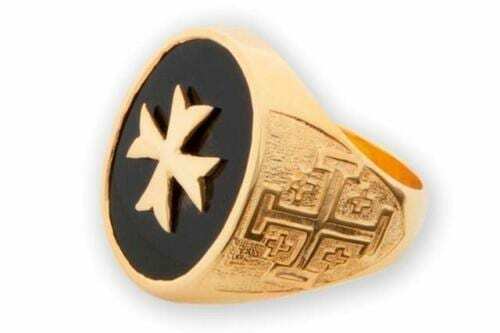 A VERY FINE REGNAS RING. 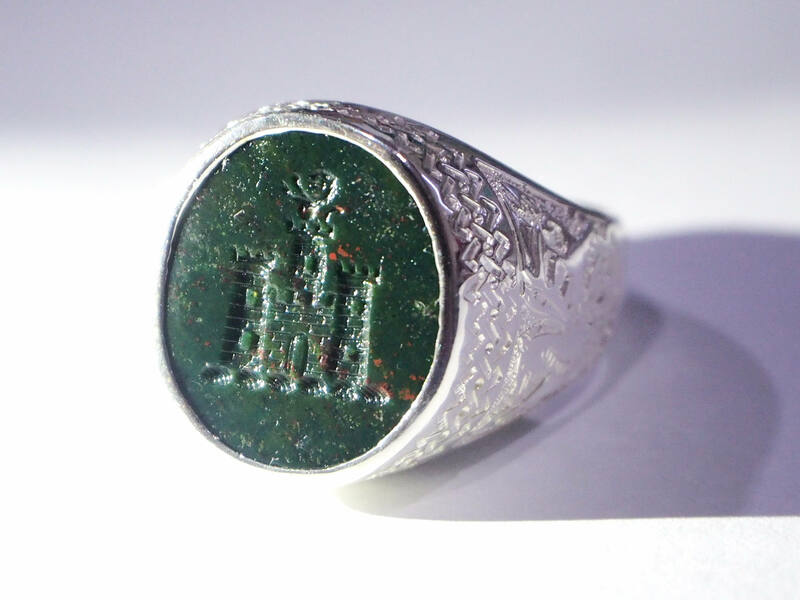 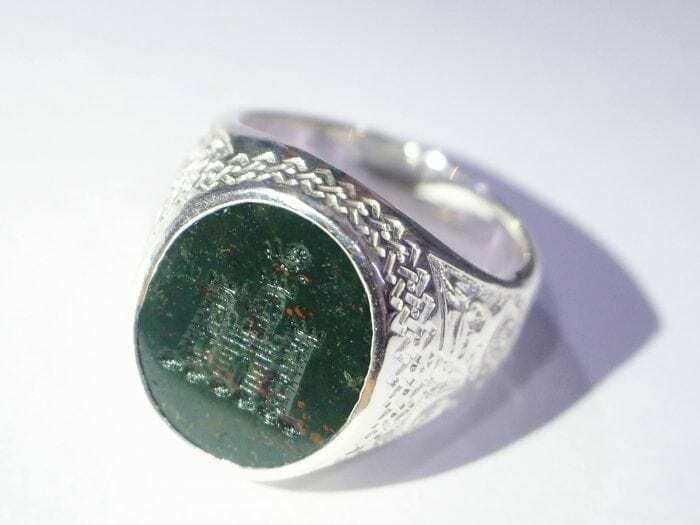 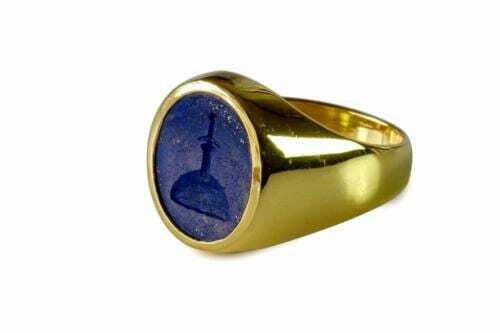 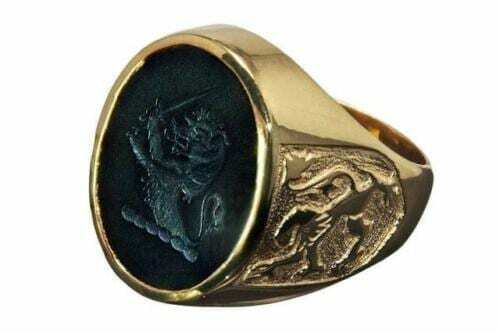 A FAMILY CREST RING STERLING SILVER ENGRAVED INTAGLIO –A SCOTTISH CASTLE. 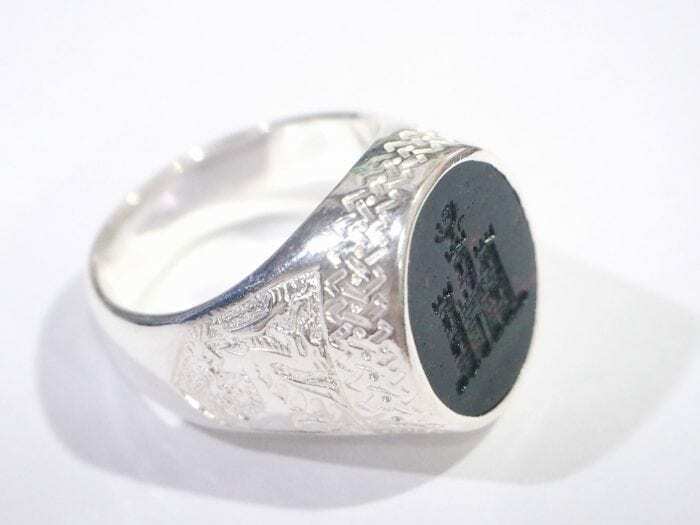 THIS IS AN ICONIC CELTIC STYLE RING SETTING. 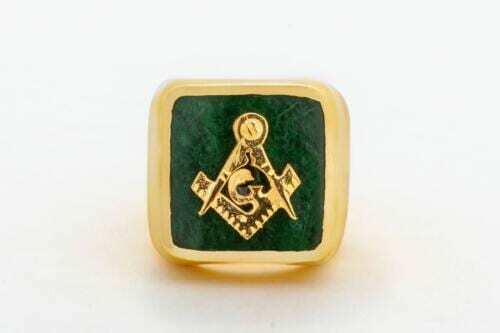 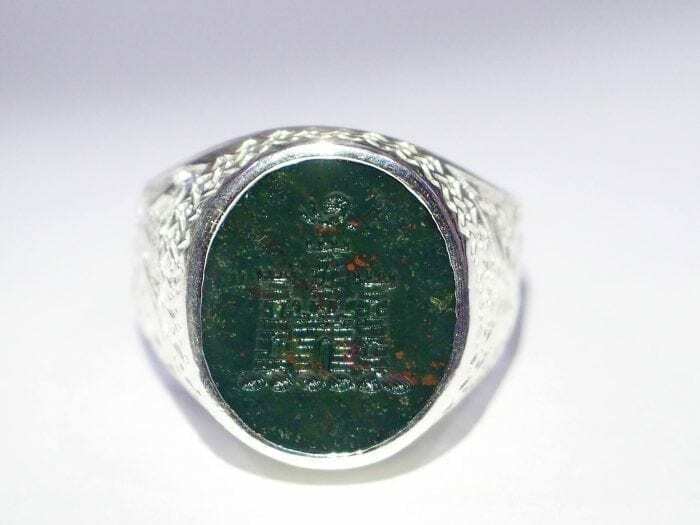 The bloodstone oval is 18 x 16 mm (11/16 x 5/8 Inch) one of our medium sized Regnas signet rings.